It has a chapel on the grounds which sounded pretty cool since I've dreamed of living in a church and it had 5 acres of land that will be worth a fortune in another decade, but once again, I did not want to live in the middle of nowhere and stare at desert. 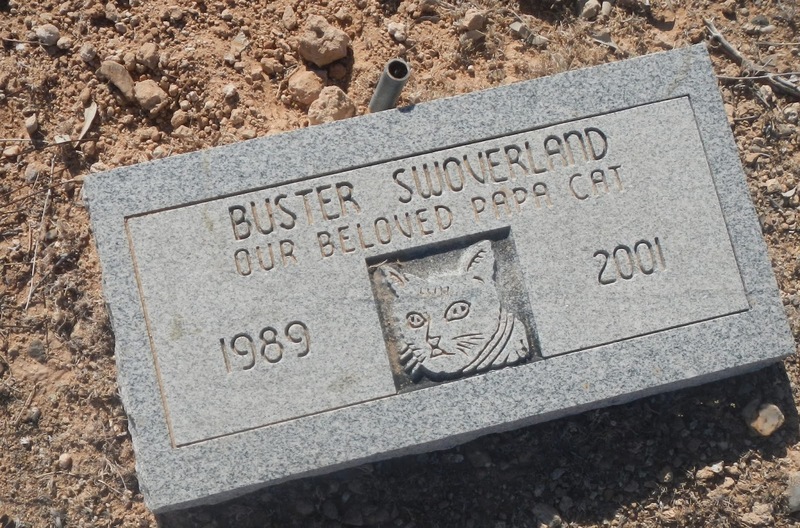 It had me thinking, though, whether living on a pet cemetery would be disturbing or totally awesome. I would think it'd be awesome, so long as it doesn't play out like the Stephen King novel! There is a pet cemetery just inside the gates at the Disneyland Haunted Mansion and a collection of pet crypts at the Disney World Haunted Mansion, there is a little known cemetery off the beaten path at Disneyland. Around the back side of the Mansion, hidden behind the exit, is the original Pet Cemetery started by some cast members years ago. They used ordinary garden statues and made up funny epitaphs. Imagineers learned of its existence and decided to recreate it officially, out front where everyone could see. If you ask nicely, and the Mansion isn't too busy, you might be able to get a private tour of the original pet cemetery from one of the ghoulish butlers or maids. The graveyard in the attraction does not host any pet markers, although there are one or two ghostly dogs in residence. 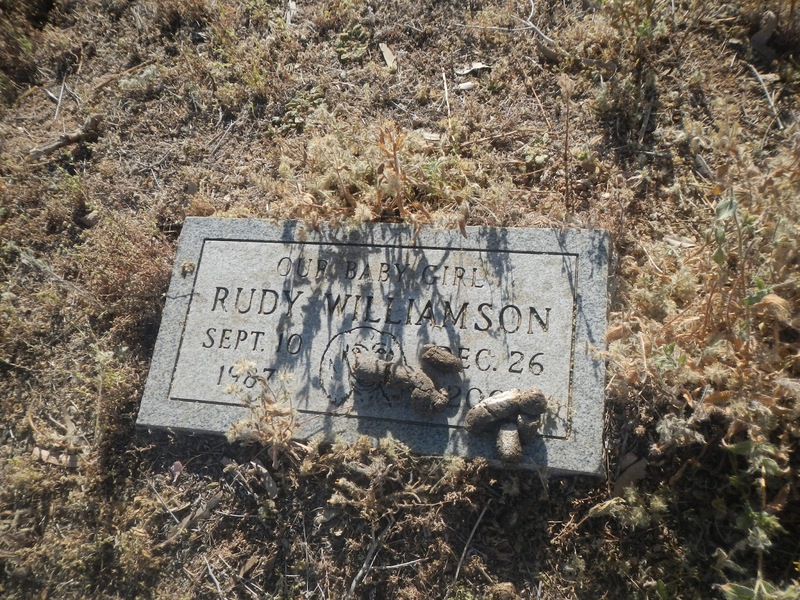 Here's some of the stones I found at this pet cemetery that was up for sale. 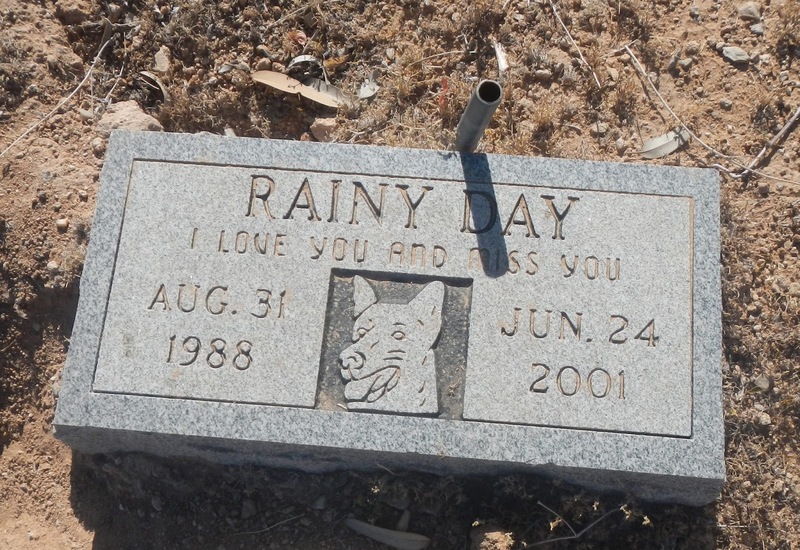 When I was a kid, we had a pet cemetery at Aspen Grove. We buried geese, dogs, cats, and various found dead animals around the property. 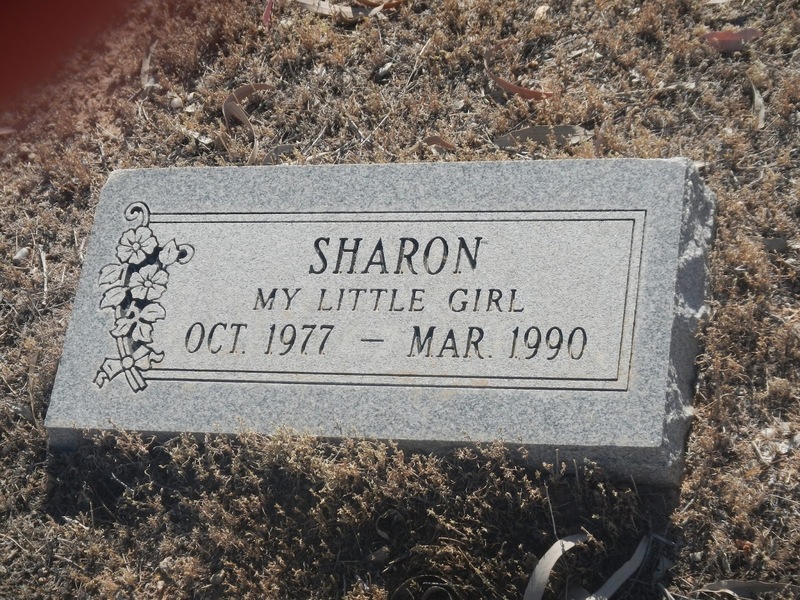 And, since I despised baby dolls, when I was given one as a gift, they were promptly buried in the pet cemetery. 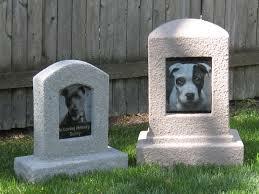 Scariest Pet Cemetery? 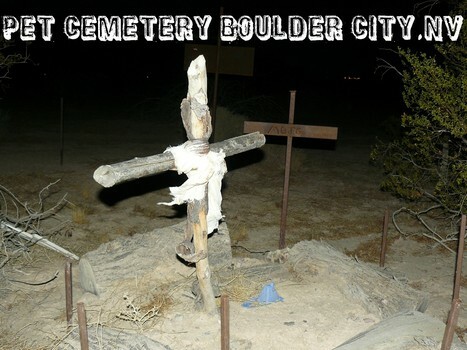 Possibly Boulder City, Nevada. 7450 W Craig Rd. 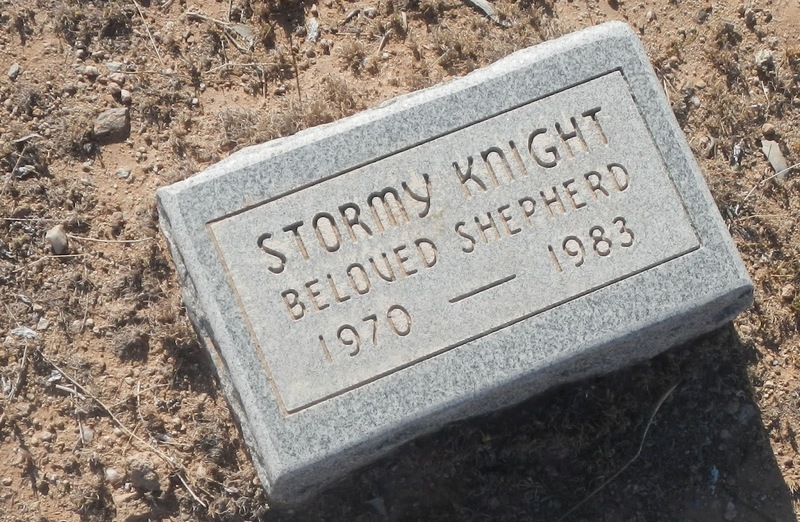 There's been some legends that the mafia from Vegas buried some dead there among the pets and put up fake pet headstones. Ideal way to dispose of a body, eh? 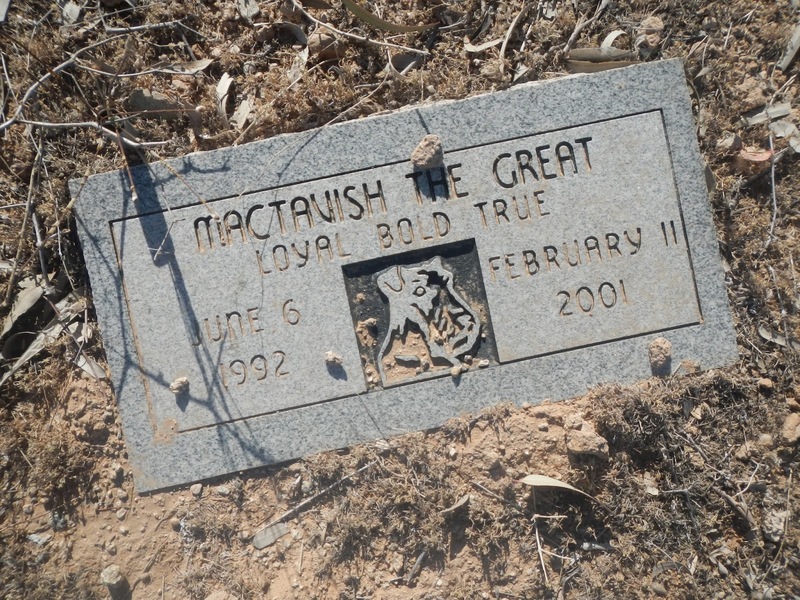 This graveyard popped up with no real credit who set it up or what was truly buried there. It was not listed, unofficial, and highly suspect. There is a legend that if you go at night, a white cat will follow you around. The graves are to be moved to the other side of a small pond, making way for wedding and corporate retreat pavilion. The project is a stone's throw from about 18 townhomes in the Stanley Historic District. Neighbor Roxanne VanSkiver and others say they're worried about noise coming from the 200 seat semi-outdoor amphitheater as well as the loss of the historic burial ground for animals. "Elsie," "Holmes" and "Stanley Blue" I, II and III are among roughly dozen marked graves dating back to the 1960s, with stones and a tiny white fence marking the cemetery. 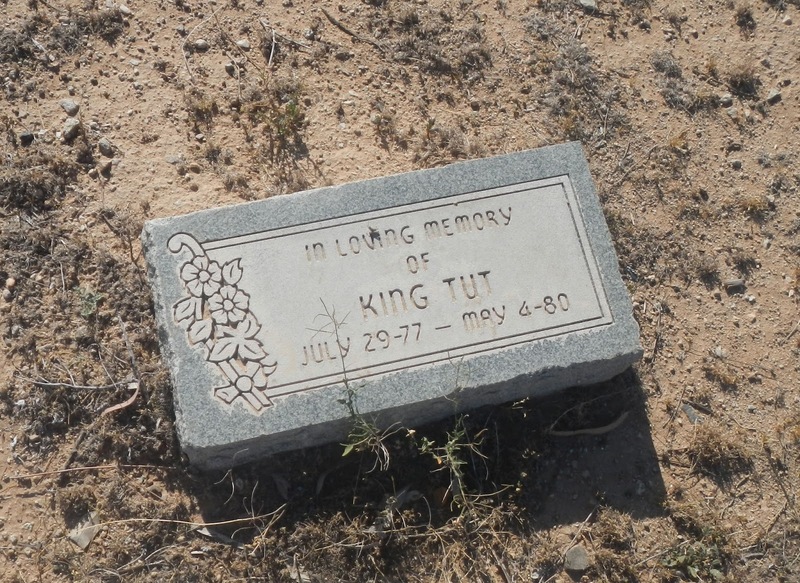 Among King's work is "Pet Sematary," a novel about animals and people who demonically come back to life after internment at an ancient Native American burial site. Hotel staff said the cemetery is sometimes a stop on tours,ESTES PARK, Colo.—Plans to dig up a pet cemetery at the Stanley Hotel, which inspired Stephen King's horror novel "The Shining," have neighbors feeling aggrieved. 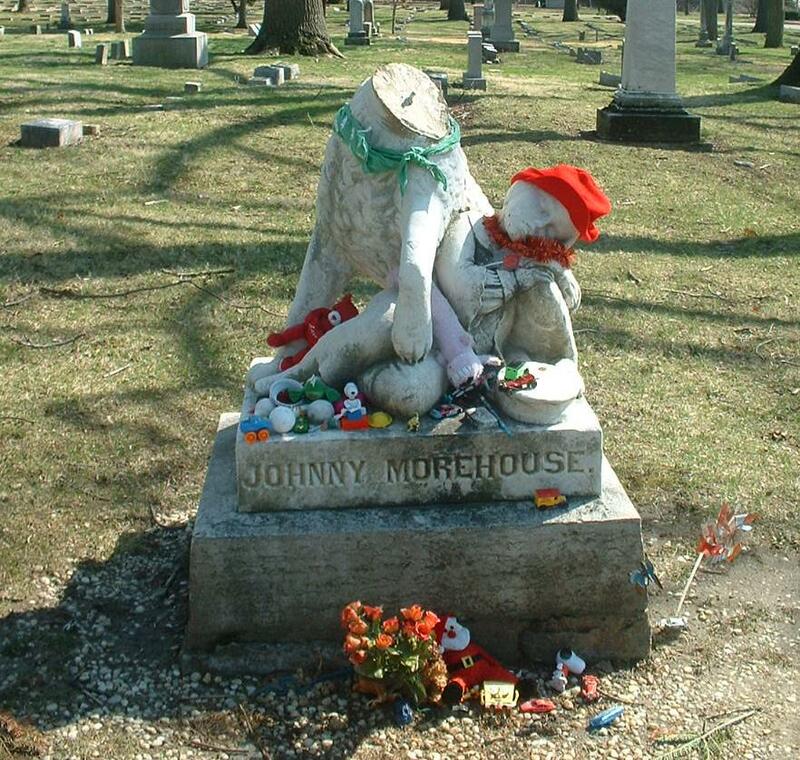 This is the grave of Johnny Morehouse and--according to legend--his dog, a pair who are Woodland's most famous ghostly residents. The story might be rooted in nothing more than an unusual tombstone, but this is what they say: Johnny fell into the Miami & Erie canal and froze to death, despite his faithful dog's efforts to pull him out. 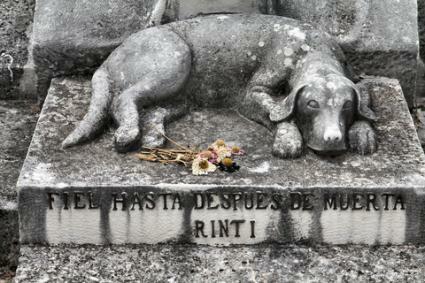 After he was buried, the dog laid on his gravesite and wouldn't be moved. Eventually it died from starvation and sadness. 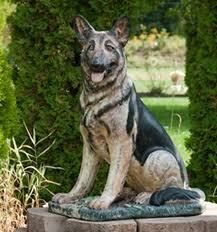 A special stone was made in 1861 to commemorate Johnny's dog's devotion. People leave toys, candy, and other trinkets on the stone--a ritual the cemetery management tolerates, as you can tell from the photo above. Now they say that Johnny and his dog, reunited beyond the grave, roam the cemetery after hours. 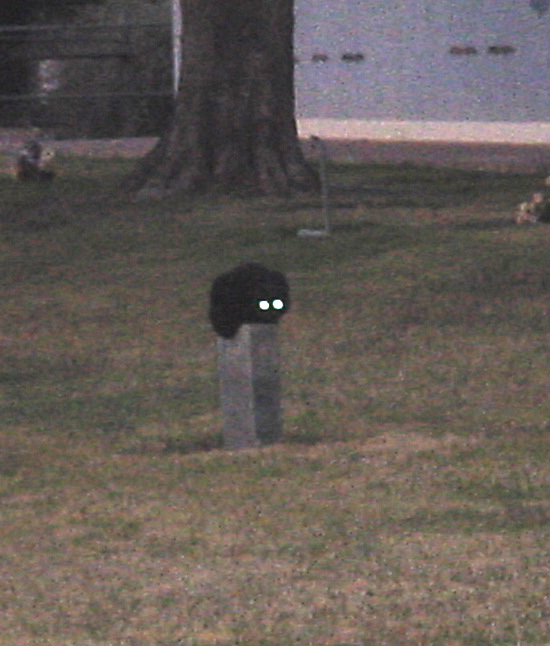 Barking is heard in the vicinity of the grave, and the two of them are spotted sometimes inside the perimeter fence. If the years I've heard are correct, then Johnny was about five years old when he died. So watch for a little boy and his pet dog. 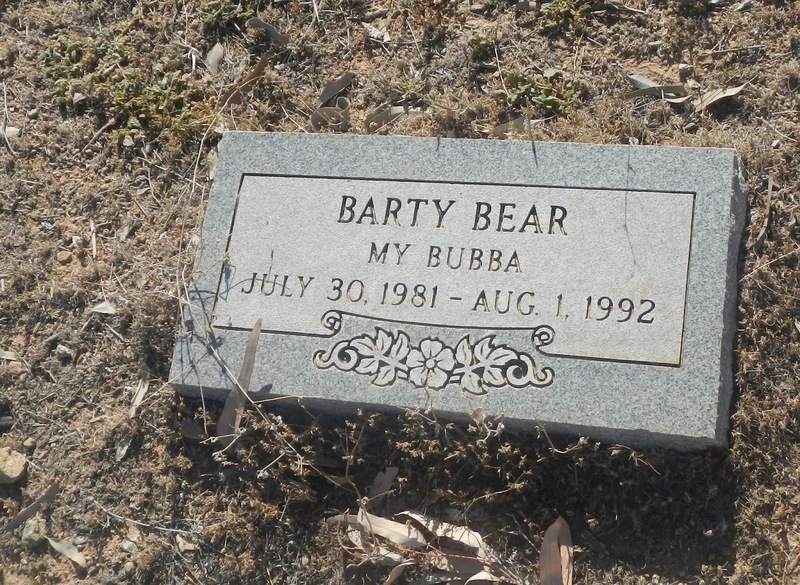 The Stephen King book "Pet Sematary" and absolutely creepy movie based on it come to mind right away when you think of pet cemeteries. 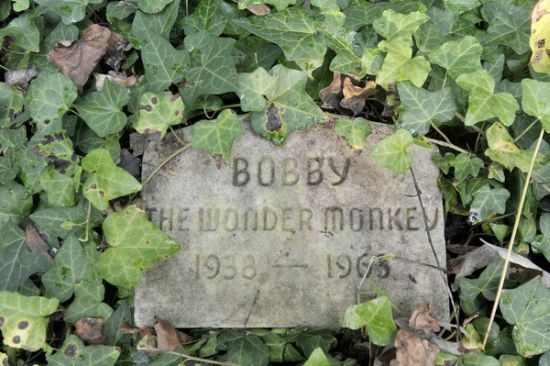 This should clear up any fascination with pet cemeteries coming back to life. 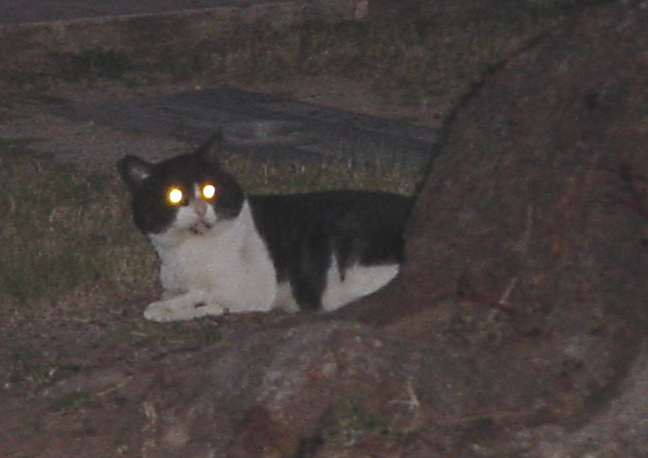 There's a Catholic Cemetery here in Phoenix and there is a lady who feeds the cats there every evening at twilight. 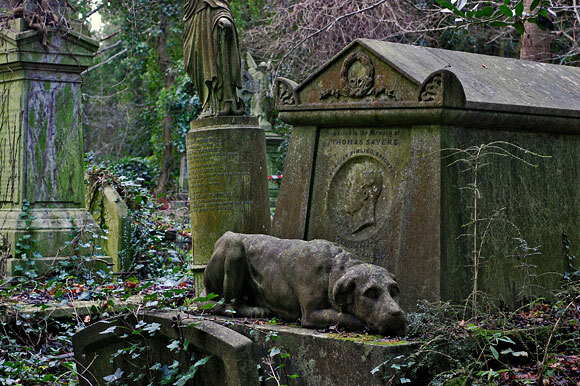 It is pretty creepy and haunting - making animals in the cemetery seem a bit foreboding.